Warriors in Pink donates 100% of the net proceeds from our clothing and accessories line to four breast cancer charities. Net proceeds are the funds obtained after all costs and expenses are deducted from the gross proceeds. For example, if an item is being sold for $12, and it costs us $2 to produce, we donate $10 from the sale of that item. That’s why we show you both the cost of the item and the dollar amount that will be donated from the sale of that item (in parentheses). With every purchase, you’re helping us help the one of four charities you choose at checkout – and now you know just how much. Thank you for your interest and your support. We respect your privacy and are committed to protecting it. This privacy statement explains our policies and practices regarding online customer information. It is through this disclosure that we intend to provide you with a level of comfort and confidence in how we collect, use, and safeguard personal and other information we collect or that you provide through this website, and how you can contact us if you have any questions or concerns. It is our sincere hope that by explaining our data handling practices we will develop a trusting and long-lasting relationship with you. By using the site, you agree to the terms of this privacy statement. This Privacy Statement applies to www.warriorsinpink.ford.com, its vanity URL fordcares.com and its related mobile website, and certain micro sites including http://mypixdownload.com/warriorsinpink/Visitor/Landing.php and https://www.warriorsinpinkmosaic.com/ (herein collectively referenced as “Warriors in Pink”, “site” and “website”). Warriors in Pink is owned by Ford Motor Company, Marketing, Sales and Service Division, 16800 Executive Plaza Drive, Dearborn, MI 48126. The business purpose of this website is to provide you the opportunity to purchase Warriors in Pink merchandise, share stories and information, download a race photo, upload a photo for the Mosaic, and enter sweepstakes. For added convenience, a select set of site features are accessible from web-enabled mobile devices as a mobile-optimized web experience. These site features may be limited in functionality. When you visit this site other parties such as third-party advertising partners and analytics providers may collect information about your digital activity over time and across digital platforms. This information may include identifiers that may permit those parties to serve tailored ads to your device(s). For more information about third-party advertising partners’ collection and use of such data for interest-based advertising purposes (and opting out of such use), see “Interest-Based Advertising” in Section 7. Because there is not yet a common understanding of how to interpret web browser-based “Do Not Track” (“DNT”) signals other than cookies, Ford Motor Company does not currently respond to undefined “DNT” signals to its US websites. Most browsers can be configured not to accept cookies, however, this may prevent you from having access to some functions or services on our sites. See Sections 5 and 7 for more information. When you visit Warriors In Pink we will not collect any personally identifiable information about you unless you provide it to us voluntarily. For purposes of this Privacy Statement, personally identifiable information is information that identifies you as an individual such as your name, street address, telephone number, email address and credit card number if you place an order. If you opt not to provide us with personally identifiable information you can still access our website, however you will be unable to purchase Warriors in Pink merchandise, share stories and information, create a Warriors in Pink Profile, participate in certain promotions, download a race photo, or upload a photo for the Mosaic, or receive updates, marketing or promotional materials including emails. Our primary goal in collecting personally identifiable information from you when you visit Warriors In Pink is to provide you the functionality and services that you need to have a meaningful and customized experience while using the site features. This site may use session and persistent “cookies” to collect personally identifiable information in order to verify log in credentials. An explanation on collection methods and how they work is included in Section 7 – Methods to Collect Information, below. See Section 12 regarding links to third-party sites, including widgets. Please keep in mind that if you disclose personally identifiable information or other sensitive data through Warriors In Pink chat room, message board, or other public online forums, this information may be collected and used by others. Through this website, we collect site usage information from site visitors that may be linkable to you through your device or web browser. This information allows us to perform site metrics and compile aggregate and statistical data. This information is used to improve the functionality of the website by identifying popular features and measuring site activity to better meet user wants and needs. The information collected includes information, such as, site pages visited, time spent on our site, or page clicks, mouse movements, and scrolls. If you visit this site using a mobile device, we collect additional information which may include the type/model of the mobile device viewing the site, device identifiers, and the mobile device’s service provider and operating system. Our primary goal in collecting this information is to analyze site metrics that we use to improve the functionality of the website. We may use session and persistent “cookies,” session logs, spotlight ads/web beacons/GIF/pixel tags, banner ads or links, and third-party click tracking analytics tools (such as Adobe and Google Analytics; these companies may also use such tools) to obtain site usage information about site visitors. An explanation on collection methods and how they work is included in Section 7 - Methods to Collect Information, below. A “cookie” is a small text file that helps us in many ways to make your visit to our website more enjoyable and meaningful to you. For example, cookies avoid you having to log in every time you come back to one of our websites. They also allow us to tailor a website or advertisement to better match your interests and preferences. There are a couple different types of cookies. A “session” cookie is stored only in your computer’s working memory (RAM) and only lasts for your browsing session. When you close all your browser’s windows, or when you shut down your computer, the session cookie disappears forever. A “persistent” cookie is stored on your computer’s hard drive until a specified date, which could be tomorrow, next week, or 10 years from now. Persistent cookies stay on your computer until either a) they expire, b) they are overwritten with newer cookies, or c) you manually remove them. Most browsers can be configured not to accept cookies, however, this may prevent you from having access to some site functions or features. This site may use third-party click tracking analytics tools (such as Adobe and Google Analytics) to capture clickthrough statistics. These parties may collect information about your use of the site and across different sites and mobile apps, and across devices over time. Warriors In Pink may use spotlight ads/web beacons/GIF/pixel tags which are site instrumentation tools that help us to determine, for instance, whether a page has been viewed or not and, if so, how many times. Emails or electronic newsletters we send may use tools (e.g., pixel tags or web beacons) to gather email metrics and information to improve the reader’s experience such as how many of the emails are opened, if they were printed or forwarded, the type of device (e.g., mobile or PC) from which they were opened, and the city, state, and county associated with the applicable IP address. In general, any electronic image viewed as part of a webpage, including an ad banner, can act as a web beacon. This website may generate a “session log” when you visit our site. We use session logs to help us determine how people travel through our site. In this way, we can structure our pages so that the information most frequently visited is easier to find. By tracking page visits, we can also determine if the information we’re providing is being used. The only data gathered is the Internet Protocol (IP) address from which you came, the website that referred you, the pages you visited and the date and time of those visits. This site may provide visitors the opportunity to integrate with third-party social media sites, and Warriors In Pink may track things like the number of items “liked” on this site, or items on this site that you choose to share with a third-party social media site. Interest-Based Advertising. On some pages of our site we may allow third-party advertising partners to set web tracking and storage technology tools (e.g., cookies, web beacons, pixels) to collect or receive information regarding your activities on those web pages (e.g., your IP address, page(s) visited, time of day). We may also share such information we have collected with third-party advertising partners. These advertising partners may use this information (and combine it with information collected from other websites, apps or other digital services) for purposes of delivering future targeted advertisements to you when you interact with other (non-Ford) sites, mobile apps or digital services within their networks, and to provide measurement services. This practice is commonly referred to as "interest-based advertising". Pages of our website that collect information that may be used by such advertising partners for interest-based advertising purposes are identified by a link to AdChoices in the footer of the page. Note: The process to opt-out of interest-based advertising is different for web browsers and mobile apps. 1. Opting out on website pages. If you do not want your online browsing while on such pages to be used for interest-based advertising purposes, you may click on the AdChoices link in the footer to opt-out of such uses by the listed advertising partner(s). An opt-out applies only to the device and browser in use at the time of opting out. If you clear your browser cookies and wish to remain opted out of interest-based advertising, you must opt-out again. See the following paragraph to learn more about how opting out works. Even if you opt-out through this service, we may still collect information regarding your site activities and use it for non-interest-based advertising purposes. 1a. Opt-out Compliance Service for interest-based advertisements. This site and advertisements on third-party sites that link to this privacy statement use the Ghostery assurance service to comply with the cross-industry Self-Regulatory Program for Online Behavioral Advertising (now generally known as interest-based advertising) managed by the Digital Advertising Alliance (DAA) (http://www.aboutads.info). When you opt-out on site pages, or through such advertisements, Ghostery conveys your opt-out election(s) to the applicable advertising partner(s), which then know to place a cookie on your specific computer and browser (and only the specific computer and browser from which you opt-out) indicating that you have opted out. If you clear your browser cookies and wish to remain opted out of interest-based advertising, you must opt-out again. The list of our advertising partners that place cookies on this website may be updated from time to time. To opt-out of internet-based advertising by all DAA-participating companies and to learn more about interest-based advertising, visit http://www.aboutads.info/choices/. 2. Opting out of in App interest-based advertisements. iOS and Android mobile device users, and possibly users of other mobile devices, may control in App advertisements by disabling or resetting the mobile device advertiser ID. Below are links to instructions for controlling advertising IDs on iOS and Android devices. See the Opting out on website pages section above for opting out of interest-based advertising related to your mobile phone’s browser. 3. Opting out through online advertisements. Advertisements on third-party websites that contain the AdChoices link and that link to this privacy statement may have been directed to you based on information collected by advertising partners over time and across websites. These advertisements provide a mechanism to opt-out of the advertising partners' use of this information for interest-based advertising purposes. Even if you opt-out through this service, we may still collect and use information from the advertisements for non-interest-based advertising purposes, such as to determine the effectiveness of the advertisements. Warriors In Pink does not share, sell, or rent personally identifiable information with independent companies for their own use without providing you a choice. We share hashed emails from our marketing database with social media advertising partners, such as Facebook, so that they can create Custom Audiences and deliver advertisements on our behalf to their members. Members are identifiable when the Social Media partner matches our hashed data to its hashed data of its members. Personally identifiable information that you provide to us in the course of using our site features or requesting a product or service through this website may be gathered and stored in one or more of our corporate databases and be used for purposes of contacting you for things like promotional offers, marketing programs, or other communications from this website or other Ford Motor Company programs and services. We may share personally identifiable information that we collect about you with other companies within the Ford Motor Company family of companies or subsidiaries. Our “family of companies” is the group of companies related to us by common control or ownership. We share information within this “family” as a normal part of conducting business and offering products and services to our customers. Personally identifiable information that you provide to Warriors In Pink may be shared with our authorized dealers. This is necessary, such as, in order to honor your request for a price quote on a vehicle or in order to provide a dealer with information for purposes of contacting you in their regular course of business. The dealer is not restricted by Warriors In Pink in their use of your data. We may share personally identifiable information with vendors, contractors or partners in the normal course of business. Vendors, contractors or partners of Warriors In Pink who have access to your personally identifiable information in connection with providing services for Warriors In Pink are required to keep the information confidential and are restricted in their use of the data. 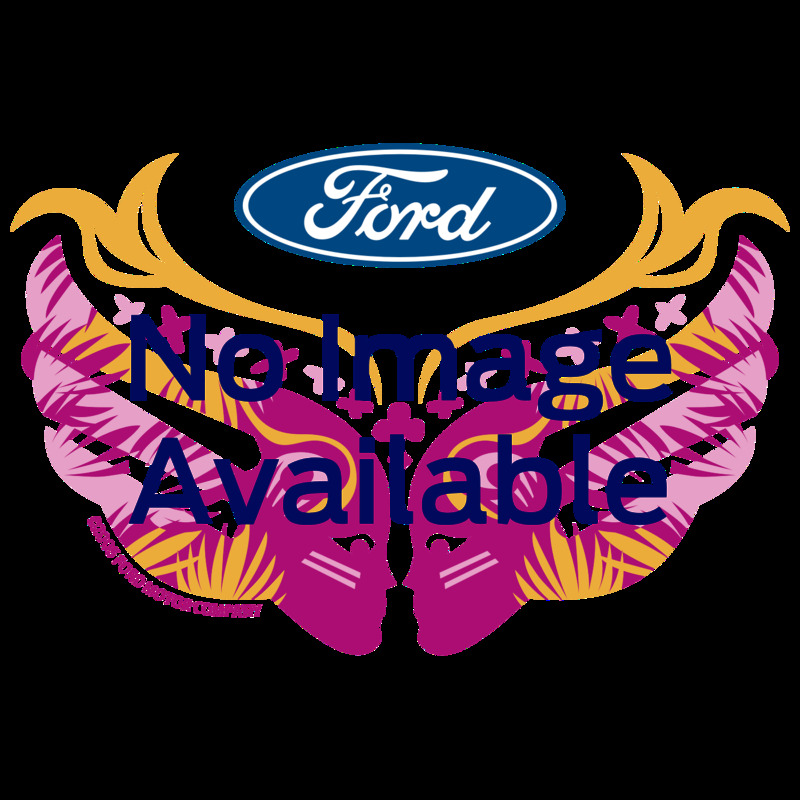 Site metrics for Warriors In Pink may be shared with other Ford Motor Company websites or subsidiaries or affiliates. Warriors In Pink will disclose your personally identifiable information, without notice, if (1) in the good faith belief that such action is necessary to: (a) conform to the edicts of the law or comply with legal process served on Ford Motor Company, its affiliates or the site; (b) protect and defend the rights or property of Ford Motor Company, its affiliates or this site; or (c) act under exigent circumstances to protect the personal safety of Ford Motor Company or affiliate personnel, users of their websites, or the public; or (2) if required to do so by law. Contest or sweepstakes entrants only: If you are providing personally identifiable information in connection with a contest or sweepstakes through this website, and if you are selected as a winner, we may include your personally identifiable information in a publicly available winner’s list. See the applicable contest or sweepstakes rules. so that we may be able to process your changes. Warriors In Pink will use reasonable efforts to correct any factual inaccuracies in your information. The scope of access available for this request is for information stored in the database that holds the data for Warriors In Pink. Any personally identifiable information that has been collected from you on other Company websites will not be accessible or changeable through the processing of this request. Safeguarding information of visitors to our website is important to us. While no systems, applications or websites are 100% secure, we use systems, policies and procedures to reasonably protect information from loss, misuse or alteration. Vendors, contractors or partners of Warriors In Pink who have access to your personally identifiable information in connection with providing services for Warriors In Pink are required to keep the information confidential. Vendors are not permitted to use this information for any other purpose than to carry out the services they are performing for Warriors In Pink. By visiting this site and by providing your personally identifiable information to us, you understand and consent to the collection, use, processing, transfer, and disclosure of your personally identifiable information globally --- including to the United States – in accordance with this Privacy Statement. Therefore, by visiting this site and by providing such information, you consent to the transfer of such information across country borders, and to the use, processing, and disclosure of such information in global locations. Your consent shall be deemed to include your consent to transfer of the personally identifiable information to locations that may have different levels of privacy protection than in your own country. Warriors In Pink provides links to other websites. We encourage you to review the privacy statements of all sites that you visit, including those whose links are provided so that you can understand how those sites collect, use and share your information. Warriors In Pink is not responsible for the privacy statements, content or data handling practices on other websites. Warriors In Pink does not knowingly intend to collect personally identifiable information from children under 13 years of age. If a child has provided us with personally identifiable information a parent or guardian of that child may contact us at the phone number or mailing address listed in section 14 if they want this information deleted from our records. We will then make reasonable efforts to delete the child’s information from the database that stores information for Warriors In Pink. Warriors In Pink is committed to working with consumers to obtain a fair and rapid resolution of any complaints or disputes about privacy and the handling of your data. Warriors In Pink will be happy to respond to your questions and comments. Occasionally we may update the privacy statement for Warriors In Pink in order to reflect any changes to the website or our privacy practices. If we update this statement, the new statement will be posted to the website ten (10) days prior to the changes taking effect. The effective date of this privacy statement is July 28, 2018. Under California’s "Shine the Light" law, California residents who provide personal information in obtaining products or services for personal, family, or household use are entitled to request and obtain from us once a calendar year information about the customer information we shared, if any, with other businesses for their own direct marketing uses. If applicable, this information would include the categories of customer information and the names and addresses of those businesses with which we shared customer information for the immediately prior calendar year (e.g., requests made in 2013 will receive information regarding 2012 sharing activities). To obtain this information on behalf of Ford Motor Company’s Ford and Lincoln U.S. operations please send an email message to calprivy@ford.com with "Request for California Privacy Information" on the subject line and in the body of your message. We will provide the requested information to you at your e-mail address in response. Please be aware that not all information sharing is covered by the "Shine the Light" requirements and only information on covered sharing will be included in our response. For an explanation of our privacy practices please review our privacy statement by clicking the "Privacy" link on our home page. All pricing is in U.S. dollars. Prices, product descriptions and all other information shown on this Site are for information purposes only, are subject to change at any time without obligation, may vary from region to region, and may not be completely up to date or accurate. Warriors in Pink merchandise can be shipped to any international country. All payments for international orders must be made in U.S. dollars. All required charges for duties, tariffs, and taxes are additional and will be collected upon delivery by the carrier. International orders are shipped via UPS International and we charge an additional $20 per order to cover international shipping costs. Sales tax is charged in the tax jurisdictions in which there is a physical presence. Taxes not collected by item may be your responsibility depending on the laws of the jurisdiction in which the sale takes place. If an item is subject to sales tax at the location where the sale takes place, tax is generally calculated on its total selling price. In accordance with state tax laws, the total selling price of an item generally includes item-level shipping charges, handling charges if applicable, discounts and an allocation of order-level shipping and handling charges and discounts. The tax rate applied to your order will generally be the combined state and local rate for the address where your order is shipped. If you are not completely satisfied with your purchase of a standard/non-custom item, you may return it for an exchange or refund within 30 days of receipt of the shipment in its original condition. All sales are final of custom pieces. Items returned within 30 days must be in the original packaging and not have been worn or damaged. To ensure proper handling of your return, please call our customer service center at 1-888-WIP-CURE (947-2873) to obtain a Return Authorization number (RA#). Copyright 2012, Ford Motor Company. All rights reserved. This Site, including all materials, is protected by worldwide copyright laws and treaty provisions whether or not a copyright notice is present on the materials. All text, images, graphics, animation, videos, music, sounds and other materials on this Site are subject to the copyrights and other intellectual property rights of Ford, its affiliated companies and its licensors. You agree to comply with all copyright laws worldwide in your use of this Site and to prevent any unauthorized copying of the materials. Except as expressly provided herein, Ford does not grant any express or implied right to you under any patents, trademarks or copyrights. Subject to your continued compliance with these terms and conditions, Ford grants you a non-exclusive, non-transferable, limited right to access, use, display and listen to this Site and the information, images, sounds and text ("materials") thereon. You agree not to interrupt or attempt to interrupt the operation of the Site in any way. You agree not to dispute Ford's claims of ownership or validity of its rights in the materials on this Site. you must not transfer the materials to any other person unless you give them notice of, and they agree to accept, the obligations arising under these terms and conditions of use. your site may not contain offensive, distasteful, illegal or inappropriate content. If you would like to use a web crawler or other search tool to gather information from the Site, you must comply with the provisions of the robots.txt file of the site and you may not circumvent CAPTCHA or other security measures. CAUTION: ANY ATTEMPT BY ANY INDIVIDUAL TO DELIBERATELY DAMAGE ANY WEBSITE, TAMPER WITH THE SUBMISSION PROCESS, OR OTHERWISE UNDERMINE FORD’S LEGITIMATE BUSINESS OPERATIONS MAY BE A VIOLATION OF CRIMINAL AND CIVIL LAWS AND SHOULD SUCH AN ATTEMPT BE MADE, FORD RESERVES THE RIGHT TO COOPERATE IN THE PROSECUTION OF ANY SUCH INDIVIDUAL(S) AND TO PURSUE ALL REMEDIES TO THE FULLEST EXTENT PERMITTED BY LAW. This Site is intended as a resource and discussion forum for people interested in Ford Motor Company vehicles, projects and initiatives. Unfortunately, this isn’t the place to address warranty or customer service questions or concerns or products sold by Ford Motor Company. If you have a question about a Ford Motor Company product, please contact Ford's Customer Relationship Center calling 1 800-392-3673 in the United States or 1 800-565-3673 in Canada during normal business hours. The Ford name, and all trademarks and logos displayed on this Site are owned or used under license by Ford. These trademarks include, but are not limited to, product brand names (e.g., Ford, Lincoln, Motorcraft&#reg;), vehicle model names (e.g., Mustang, Taurus, Explorer, F-150, Focus, Ranger), slogans (e.g.,Built Ford Tough), and logos and emblems. The unauthorized use of any trademark displayed on this Site is strictly prohibited. Ford and its affiliates reserve the right to change, modify, suspend, discontinue or permanently cancel this Site's operation or portions thereof without any notice to you, including but not limited to product specifications or prices, at any time and from time to time without notice and without incurring any obligations. Your use of this Site after any changes are posted will be considered acceptance of such changes. By using this Site you agree that you will defend, indemnify and hold harmless Ford and its subsidiaries and affiliates, their respective distributors, dealers, dealer associations and advertising and promotions agencies, together with their respective employees, agents, directors, officers and shareholders, from and against all the liabilities, claims, damages and expenses (including reasonable attorneys' fees and costs) arising out of your use of this Site, your breach or alleged breach of these Terms and Conditions, and/or your breach or alleged violation of the patent, copyright, trademark, proprietary or other rights of third parties. Ford reserves the right to assume the exclusive defense and control of any matter otherwise subject to indemnification by you, and, in such case, you shall agree to cooperate with Ford's defense of such claim. Identification of the copyrighted work you claim to have been infringed, or, if there are multiple copyrighted works, a representative list of such works. Identification of the material that you claim to be infringing, and information reasonably sufficient to permit us to locate the material. Information reasonably sufficient to permit us to contact you, such as an address, telephone number, and, if available, an email address. A statement that you have a good faith belief that use of the material in the manner complained of is not authorized by you or the law. A statement that the information your notification is accurate. If the communication is submitted by someone on your behalf, the communication must also contain a statement that, under penalty of perjury, the submitter is authorized to act on your behalf. Ford may at any time revise these Terms and Conditions by updating this posting. You are bound by such revisions and should therefore visit this page to review the current Terms and Conditions from time to time. NOTE THAT THESE TERMS AND CONDITIONS APPLY ONLY TO THIS SITE, OTHER WEBSITES PROVIDED BY FORD OR ITS AFFILIATES MAY HAVE DIFFERENT TERMS AND CONDITIONS THAT APPLY TO THE USE OF THOSE SITES. YOU ARE RESPONSIBLE FOR READING AND UNDERSTANDING THE TERMS AND CONDITIONS OF THOSE SITES. This Site and all the information it contains is provided for information purposes only on an "as is" basis and could include technical, typographical or other errors. In certain areas, the information provided may represent an opinion or judgment. Ford, information providers and their agents make no warranties, representations, or guarantees of any kind, express or implied, including but not limited to, accuracy, currency, or completeness, the operation of the Site, the information, materials, content, availability, and products. To the extent permitted by applicable law, Ford disclaims all warranties, express or implied, including but not limited to, implied warranties of merchantability and fitness for a particular purpose. Ford is not responsible for the content of any Site linked to this Site and is not directly or indirectly implying any approval, endorsement or affiliation with any linked Site. YOU AGREE THAT YOUR USE OF THIS SITE SHALL BE AT YOUR SOLE RISK. TO THE FULLEST EXTENT PERMITTED BY LAW, FORD'S OFFICERS, DIRECTORS, EMPLOYEES, PARENTS, AFFILIATES, SHAREHOLDERS, REPRESENTATIVES AND AGENTS DISCLAIM ALL WARRANTIES, EXPRESS OR IMPLIED, IN CONNECTION WITH THIS SITE AND YOUR USE THEREOF. FORD, ITS INFORMATION PROVIDERS AND THEIR AGENTS, MAKE NO WARRANTIES OR REPRESENTATIONS ABOUT THE CONTENT OF ANY SITES LINKED TO THIS SITE AND ASSUMES NO LIABILITY OR RESPONSIBILITY FOR ANY (I) ERRORS, MISTAKES, OR INACCURACIES OF CONTENT, (II) PERSONAL INJURY OR PROPERTY DAMAGE, OF ANY NATURE WHATSOEVER, RESULTING FROM YOUR ACCESS TO AND USE OF OUR WEB SITE, (III) ANY UNAUTHORIZED ACCESS TO OR USE OF OUR SECURE SERVERS AND/OR ANY AND ALL PERSONAL INFORMATION AND/OR FINANCIAL INFORMATION STORED THEREIN, (IV) ANY INTERRUPTION OR CESSATION OF TRANSMISSION TO OR FROM OUR WEB SITE, (IV) ANY BUGS, VIRUSES, TROJAN HORSES, OR THE LIKE WHICH MAY BE TRANSMITTED TO OR THROUGH OUR WEB SITE BY ANY THIRD-PARTY, AND/OR (V) ANY ERRORS OR OMISSIONS IN ANY CONTENT OR FOR ANY LOSS OR DAMAGE OF ANY KIND INCURRED AS A RESULT OF THE USE OF ANY CONTENT POSTED, EMAILED, TRANSMITTED, OR OTHERWISE MADE AVAILABLE VIA THE WEB SITE. FORD DOES NOT WARRANT, ENDORSE, GUARANTEE, OR ASSUME RESPONSIBILITY FOR ANY PRODUCT OR SERVICE ADVERTISED OR OFFERED BY A THIRD-PARTY THROUGH THE WEB SITE OR ANY HYPERLINKED WEB SITE OR FEATURED IN ANY BANNER OR OTHER ADVERTISING, AND FORD WILL NOT BE A PARTY TO OR IN ANY WAY BE RESPONSIBLE FOR MONITORING ANY TRANSACTION BETWEEN YOU AND THIRD-PARTY PROVIDERS OF PRODUCTS OR SERVICES. AS WITH THE PURCHASE OF A PRODUCT OR SERVICE THROUGH ANY MEDIUM OR IN ANY ENVIRONMENT, YOU SHOULD USE YOUR BEST JUDGMENT AND EXERCISE CAUTION WHERE APPROPRIATE. NEITHER FORD, INFORMATION PROVIDERS OR THEIR AGENTS ARE PROVIDING ANY LEGAL, TAX, MEDICAL, COUNSELING, ACCOUNTING, INVESTMENT, FINANCIAL OR ANY OTHER PROFESSIONAL SERVICES OR ADVICE. These Terms and Conditions together with any additional terms to which you agree when using particular elements of this Site constitute the entire agreement regarding the Site and any services, and supersede all prior or contemporaneous communications, whether electronic, oral or written between you and us with respect to the Site or the services provided on the Site. The Site is operated from Ford's offices in the United States of America. These terms and conditions are governed by, and construed in accordance with, the laws of the State of Michigan, regardless of principles of conflicts of laws that may require the application of the laws of another jurisdiction. If a court determines that any term or condition in these Terms and Conditions is illegal or unenforceable, then such term will be eliminated and the remaining terms and conditions will remain in force and effect. Ford's failure to exercise or enforce any right or provision of these Terms and Conditions shall not constitute a waiver of such right or provision. If any provision of these Terms and Conditions is found by a court of competent jurisdiction to be invalid, the parties nevertheless agree that the court should endeavor to give effect to the parties' intentions as reflected in the provision, and the other provisions of these Terms and Conditions remain in full force and effect. All lawsuits arising from or relating to these Terms and Conditions shall be brought in the Federal or State courts located in Wayne County, Michigan, and you hereby irrevocably submit to the exclusive personal jurisdiction of such courts for such purpose.